Consider the disciple/apostle Peter. He spent 3½ years as an original disciple of Jesus Christ. He knew things that only the Holy Spirit could have revealed; such as that Jesus was the Messiah. He was the one that stepped out of the boat to walk towards Jesus. He was with Jesus at the Mount of Transfiguration. He was one of the three closest disciples of Jesus Christ. And he blew it. He backslid so far, that he denied the Lord three times. And the Lord took Him back. The Lord was waiting for Peter, to have gotten that phase of his life out of the way. And if you have strayed, He has done the same with you. He is waiting. 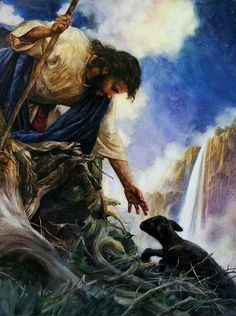 Jesus said this to Peter: "But I have prayed for you, that your faith should not fail; and when you have returned to Me, strengthen your brethren" (Luke 22:31-32). Return, return unto the Lord. Never to stray again. Jesus and the Father have been waiting.